Just seven months after the federal appeals courts upheld the right of chapter 13 debtors to strip off a completely unsecured second mortgage on homestead real estate (in a case litigated by Craig Andresen), Minnesota’s four bankruptcy court judges enacted Local Rule 3012-1, which sets forth the procedure for lien stripping. This action demonstrates the finality that the judges are assigning to the appeals courts’ approval of chapter 13 lien stripping. New Local Rule 3012-1 was effective in Minnesota on April 1, 2013. It requires that a chapter 13 plan be accompanied by a motion which requests that the bankruptcy court strip (avoid and vacate) the second mortgage upon completion of payments into the chapter 13 plan. A plan usually lasts from three to five years. A chapter 13 debtor whose plan provides for a lien strip typically makes no further payments, ever, on the home’s junior mortgage once the bankruptcy case is filed. The only catch is that lien stripping can be done only on an entirely unsecured junior mortgage. 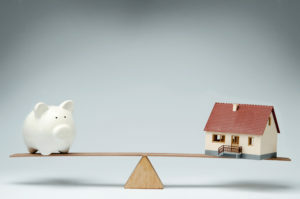 Here’s an example: let’s say the home is valued by an appraisal at $200,000, the home’s first mortgage has a balance owing of $220,000, and the second mortgage has a balance owing of $50,000. This would mean that the second mortgage is not secured by any real value of the home, and therefore the second mortgage can be stripped in chapter 13. In other words, when your home is worth less than the balance owing on the first mortgage, any junior mortgages can be stripped. The big news is that not only does the case law now allow lien stripping, the Minnesota Local Bankruptcy Rules contain a court-approved method for doing it. Be sure to ask your bankruptcy lawyer about lien stripping if you are considering chapter 13.